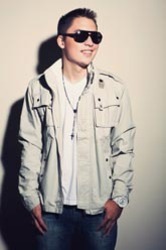 Ryan Stylez (Ryan Chen), born June 1, 1992, was raised in the Bay Area, CA. With a love of music and a keen ear to its influence on pop culture, it wasn't until high school that Ryan decided he would give a career in music a fair shot. Seeing his classmates in bands and kids trying to pursue their own music aspirations with MySpace and YouTube, Ryan decided to take a different route. He worked odd jobs and saved up money for a few years; enough money to work with artists and groups who had already created their own buzz in the music industry. It was during this time Ryan had to figure out if he had IT for a real shot at his dream. With little support and the reality that he may not get the reception he wanted for his artistry, Ryan pulled together a team of leaders he believed could propel him to pop success. In December of 2009, Ryan Collaborated with The Cataracs, who produced chart topping, records (Like a G6, Backseat etc.). This was the break he needed that brought attention to his first record. The song "Right Here Right Now" released to iTunes and online in 2010 caused a favorable stir in the San Francisco bay area. Ryan started receiving offers and partnerships with managers and labels and made headlines on various local radio stations, blogs and websites. At first, people took my passion for music and my beginning stages as an artist like a joke," Ryan recalls. "They thought I would be like every other kid trying to be somebody. But I had a game plan and couldn't let their hate faze me. I learned real quickly that the negative feedback was inevitable. It was turning that into a positive motivator that really kept me going, and is what truly keeps me at it every day. I want to prove that nothing is impossible, and that if you tell yourself you are going to do something, you can do it as long as you don't let anything stop you. A month after the release, Ryan got a call from the CEO of major video game company (DNA Games) about featuring his single in one of their most popular games. With millions of players worldwide, the record took on a life of its own and the one aspect of the industry he was most worried about was now falling into place - a fan base. Ryan started booking features and performing at shows almost every weekend for months all over the country, waiting for … his moment. In Late 2011, Ryan was contacted by an A&R from Universal Republic about working on a project to get him to the next level. In February of 2012, Ryan moved to Hollywood, CA to begin working on his E.P. with the platinum producing group, The Co-Stars. The team spent a few months developing his sound and found that Ryan's music had a distinct sound, and the records they made would put him in his own lane. Ryan Stylez released his first single off of the E.P. this June entitled "This is the Life," A catchy, up tempo, feel good record this summer. The single went into rotation on Top 40 stations all over the country, Landing Ryan's single at the 108 spot on the Billboard Top 200. The music video went viral, landing over 300,000 views in the last couple months as well as placements on MTV, Fuse and online blogs. With a solid PR and management team behind him, Ryan plans to make a mark this year and is getting ready to debut his new single featuring Ray J worldwide this Fall.